A hard fighting river fish that will test your tackle to the limit. The Barbel is a bottom feeder, it can be recognised by its torpedo shape and the four large feelers around its mouth. The Bream is a deep fish that has a thick covering of slime. Small bream are called ‘skimmers’, big ones are referred to as slabs. The Chub is a river fish that can be found in most rivers	around the country, you will also find them in canals and still-waters. bread, maggots and casters. Chub are hard fighting fish! The dace is a small fish that lives in rivers. In the summer Dace can often be caught on a light rig just below the surface with maggots. The roach is one of the most common fish in this country. You can find them in still-waters, rivers and canals. Big roach are rare fish and many anglers never catch one over a pound (500g). Roach can be caught on all sorts of bait maggots, casters, bloodworm and bread are always some of the best. Rudd are normally found in still-waters around Great Britain they are not as common as Roach although the two species are often confused. In the summer months Rudd can be good sport taking maggots on a light rig fished on the drop. Eels can be caught in all types of water, they are bottom feeders and love maggots. 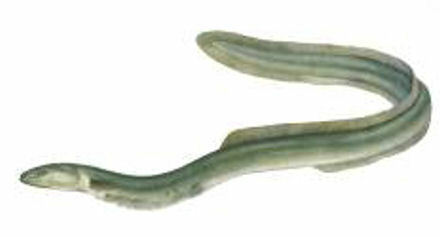 Small eels are often called ‘bootlaces’. A big Eel will put your tackle to the test so make sure it is strong enough. Gudgeon are a small shoal fish that live mainly in canals and rivers. Some shoals of Gudgeon are very large and can provide good sport in the winter. Perch are a common species and can be found in most rivers, canals and still-waters in this country. They are easily recognised by the stripes and spiny dorsal fin. Perch can be caught on a variety of baits, large Perch can be caught on spinning tackle. The Pike is the largest predator that lives in our waters. They naturally feed on other fish and can be valuable in a fishery to help keep a’ balance of nature’. Pike are normally caught with artificial lures or dead-baiting. The Tench is a bottom feeding fish that feeds well in the summer months, with early mornings often the best times. A hard fighting fish it is easily recognised by its green colour and red eyes. The Zander is a predator that is not a native of this country. It is not found in many waters but prefers slow moving rivers and drains. Fishing methods would be the same as those used for Pike. Carp are one of the most sought after fish in this country. Specimen anglers spend hours fishing for large Carp, and there are now many commercial fisheries stocked with smaller fish where you can have a very good day’s sport. 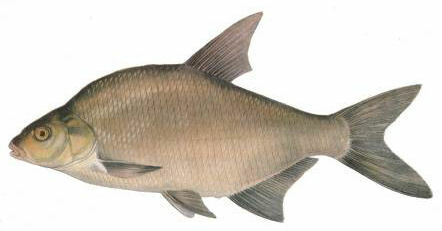 The largest of the family are the Common, Mirror and Leather carp. 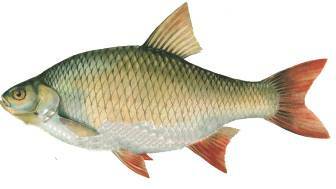 Wild Carp do not grow as big and are not found in as many waters as the other species. 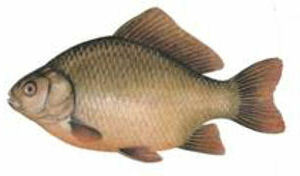 The Crucian Carp is the smallest of the family, like the Wild Carp it is also harder to find. They are hard fighting fish living mainly in still-waters but also in rivers and canals. The choice of baits for Carp is huge from maggots to boilies and a hungry Carp will eat just about any bait an angler can choose.